The only handcrafted New York style on the slopes of Breckenridge. 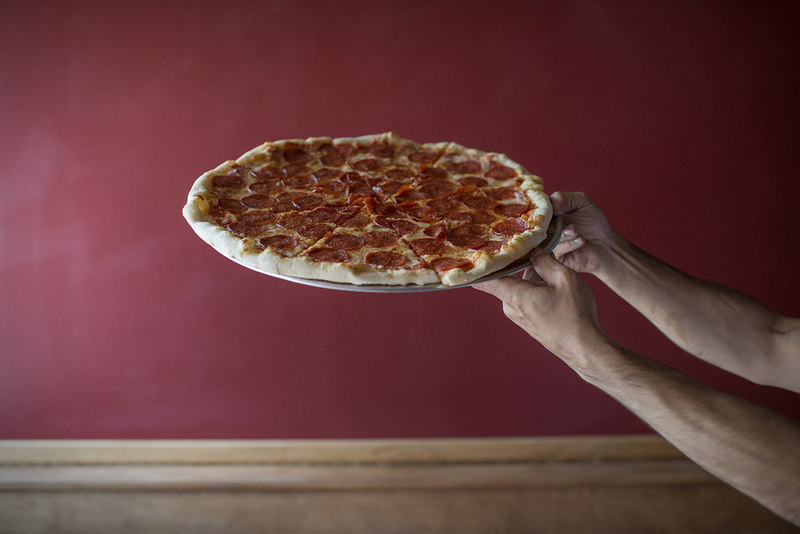 Offering everything from build your own custom pizzas to creative specialty pies. A family friendly environment to watch all of your favorite sporting events. Meat lover's favorite with pepperoni, ham, bacon, sausage, & steak. *Cheese Steak Pizza* steak, & sautéed peppers, onions, & mushrooms. Mozzarella base covered with mac & cheese, fried mac & cheese bites, topped with a cheese blend. Grilled chicken, bacon, onions, & pineapple. Breaded chicken tossed in marinara, parmesan & mozzarella. Meatballs covered in marinara, parmesan, and mozzarella. Onions, olives, tomatoes, basil, peppers, & mushrooms. Pepperoni, Sausage, ham, meatballs, steak, bacon, olives, onions, peppers, mushrooms, tomatoes & jalapeños. Garlic/olive oil base. With roasted red peppers, spinach, & mozzarella. This gluten free pizza is prepared in a high gluten environment & may contain trace amounts of gluten. Mozzarella/cheddar blend, onions, peppers & mushrooms. Rolled in our fresh pizza dough with mozzarella. Served with marinara sauce. Sausage & pepperoni rolled in our fresh dough with mozzarella. Served with marinara sauce. "Award Winning" Chefs choice of the day. Ask server for details. Pizza by the slice until close. Located on Main St. just north of the intersection of Park and Main on the west side.